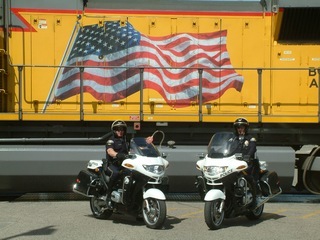 Captain Martino was in telephone contact with Sheriff Steve Smith who told us that the train was on the move. 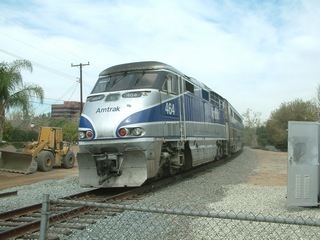 It had to cross the Metrolink mainline and be waiting for its slot to travel to Santa Ana. 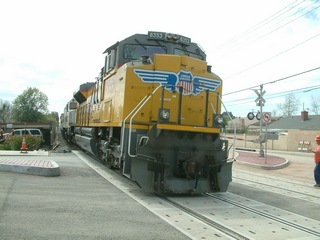 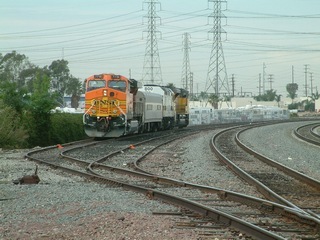 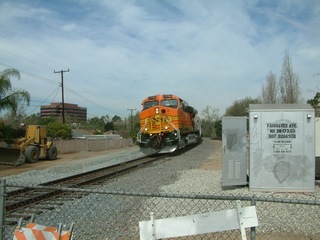 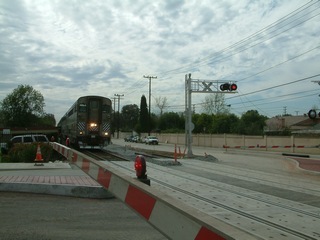 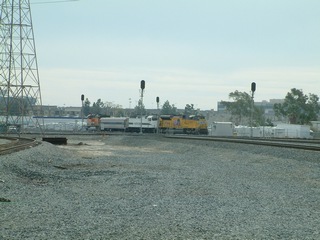 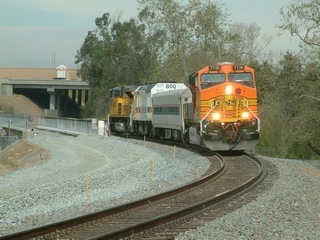 We travelled to north Santa Ana to view the train from the Fairhaven and Lincoln intersection. This location is the last remaining single track area from Fullerton to Laguna Niguel, a 22 mile stretch. 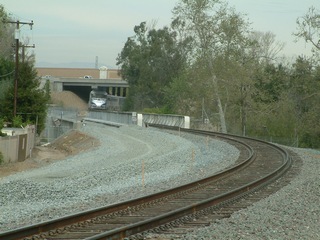 The bridge over Santiago Creek has been in place for over one year and waiting for rails which will be installed in spring 2007. 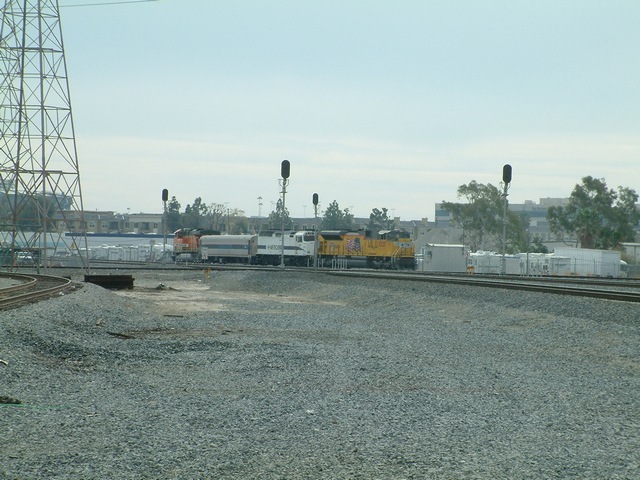 Before the OL train travelled by, a northbound Amtrak Pacific Surfliner passed. 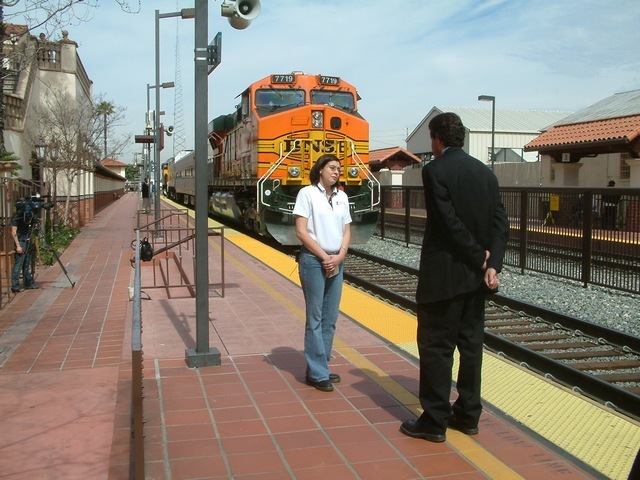 At Santa Ana Station, more local television stations were waiting to interview California State Operation Lifesaver President Zoe Richmond. 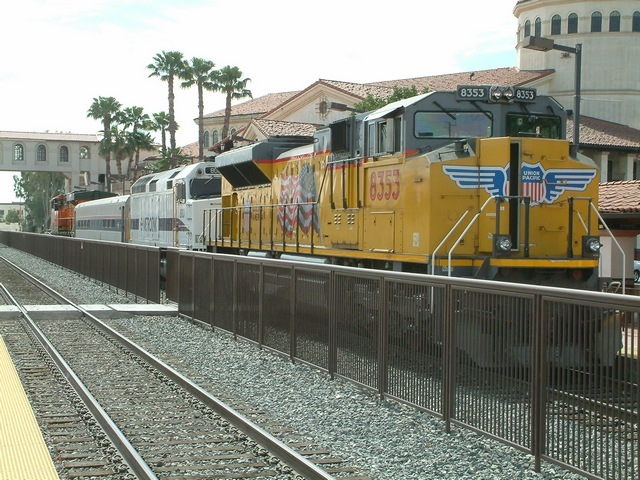 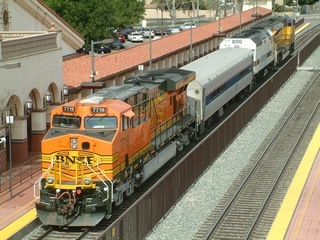 In her interview with Orange County's KOCE PBS television station she stated "the issue here is a major problem, because 100% of these events can be prevented and as we have the population increasing, as we see an increase in both commuter and freight trains, the problem's just going to get worse unless we take some of these proactive measures." Those measures being targeted law enforcement with emphasis on motorists who pass the white limit line when gates and/or red flashing lights are activated. "We had 209 vehicle violations and 22 pedestrian violations. 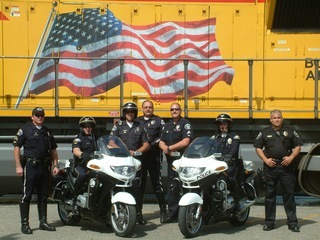 These citations can be up to $320.00 It's important for the public to understand that trains take up to a mile to stop. By the time the engineer sees unsafe behavior it may be too late to stop." 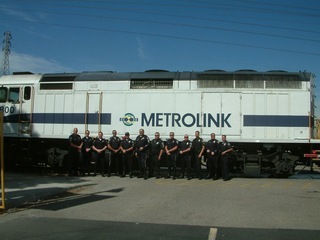 The train was ordered back to Anaheim where the officers had done their debriefing and had lunch. The official statistics were 86 personmel involved; total number of citations issued to motor vehicles: 209; total number of citations issued to pedestrians: 22; total number of violations observed but not contacted 57; total number of misdemeanor arrests made: 5;, total number of stolen cars recovered:2; total number of vehicles stored or impounded: 17. 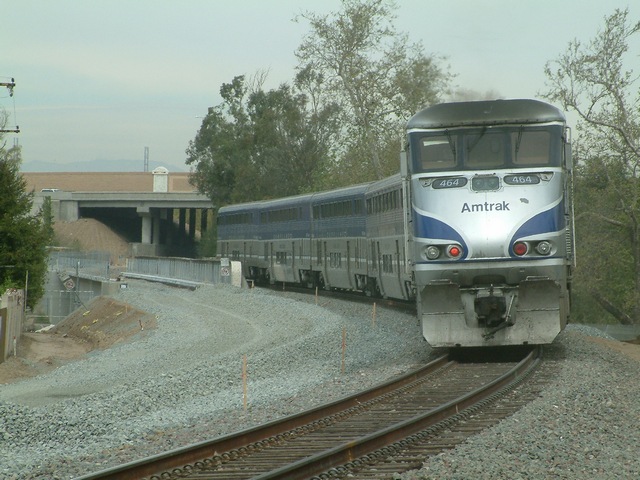 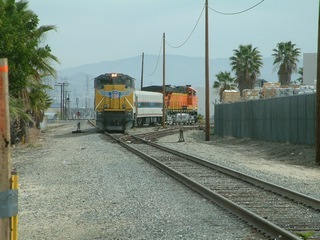 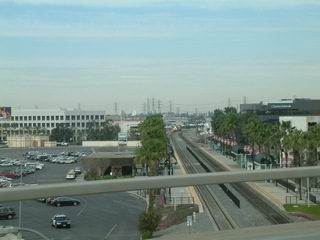 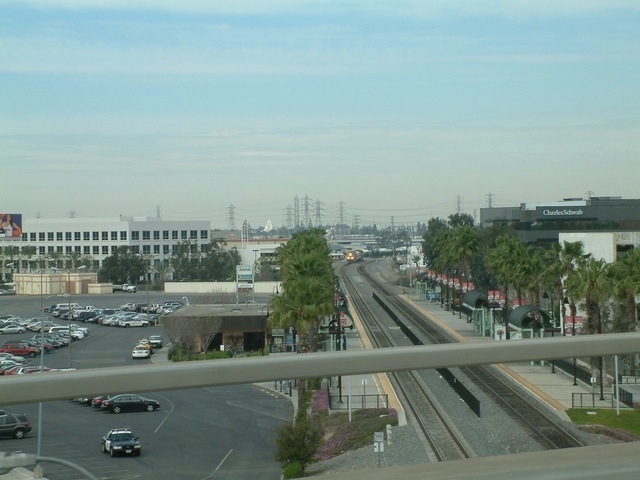 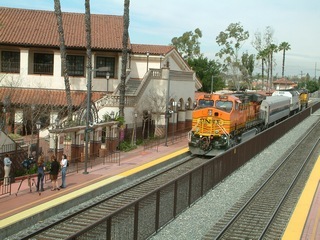 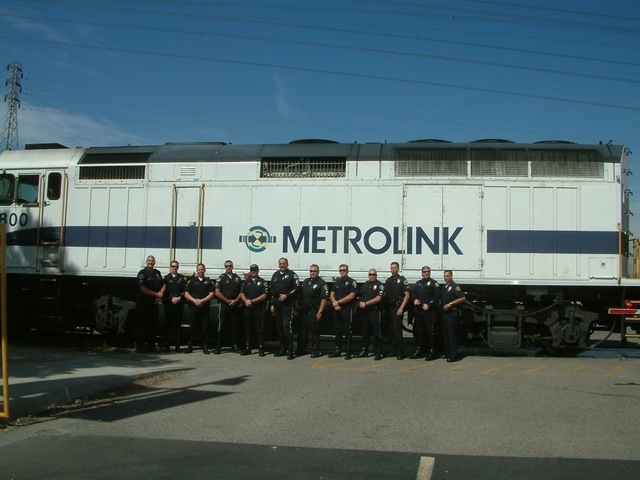 After the photographic opportunities with law enforcement, the train re-entered the Metrolink mainline and proceeded back to Los Angeles via Fullerton on the BNSF mainline. 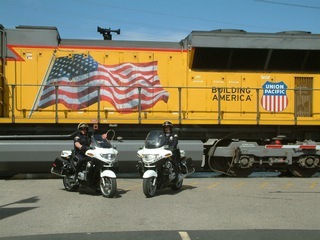 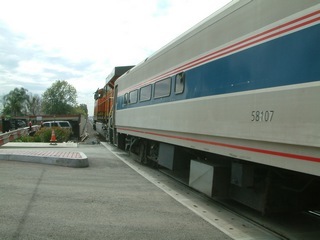 Click here for additional photographs of the special train.